Let me tell you, I was really doubting about this mix while they were on the hangers, but once I put on all the pieces, I was in love. The high-low lace blouse (also worn here) over a snake print tube dress, besides being a refreshing combo to me, was also comfy. My cut-out summer brogues added even more comfort to my day. Les tengo que confesar que realmente estaba dudando acerca de esta mezcla mientras estaban colgadas en los ganchos, pero una vez que me puse todas las piezas, me quedé enamorado. La blusa de corte alto-bajo (también aquí) y de encaje sobre un vestido tubo estampado de serpiente, además de ser una combinación fresca para mí, también fue cómoda. Mis mocasines veraneros también le añadieron un toque confortable a mi conjunto. Sunlglasses/Gafas: Givenchy (Vintage). Similar here. Really cool mix, original and fresh! me encanta este look ! te queda perfecto ! You look gorgeous. Amazing outfit. Love the look on you. 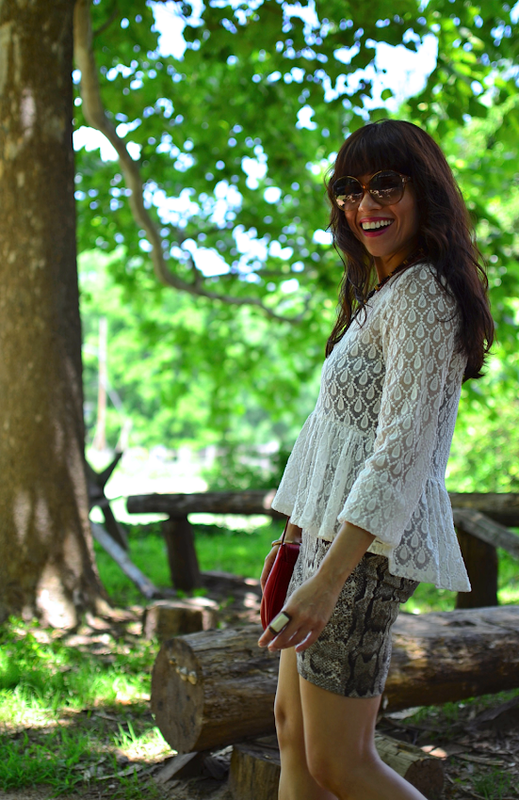 I love animal print and you did a great job pairing it with lace. Gorgeous. Thanks so much Lenya! by the way, you have a great look in your last post. Thanks for visiting. 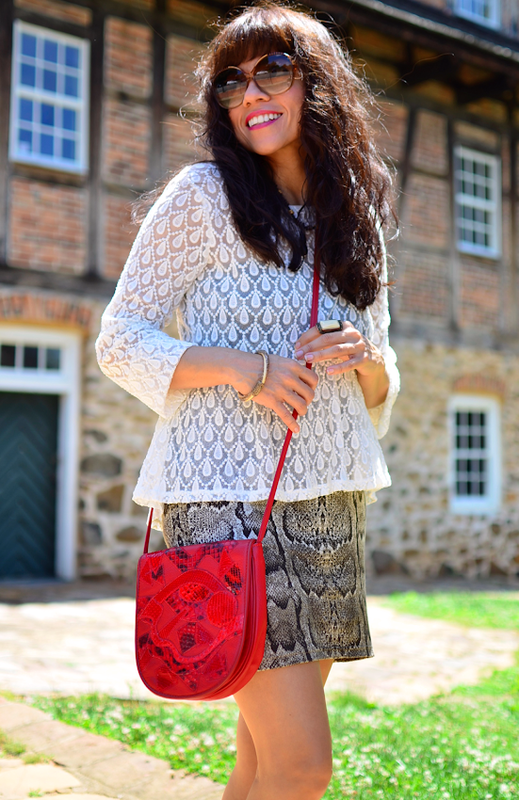 I love how you mixed the lace with the snake print. Super creative and unique and gorgeous!